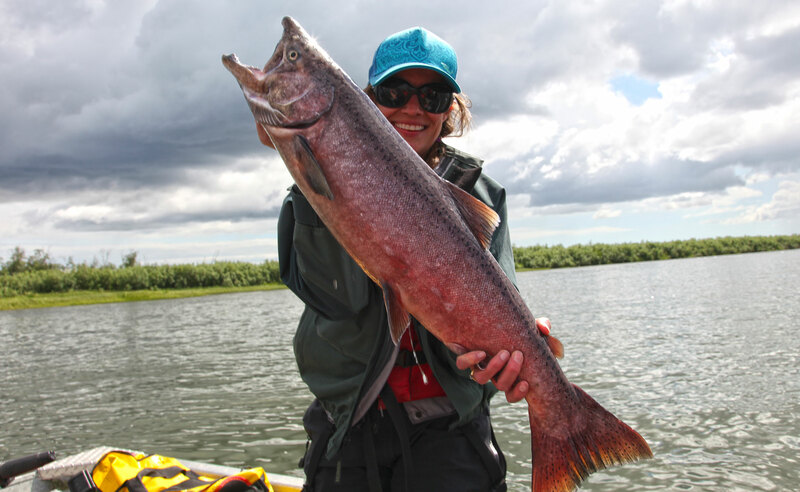 What you can expect at Jake’s Nushagak Salmon Camp. 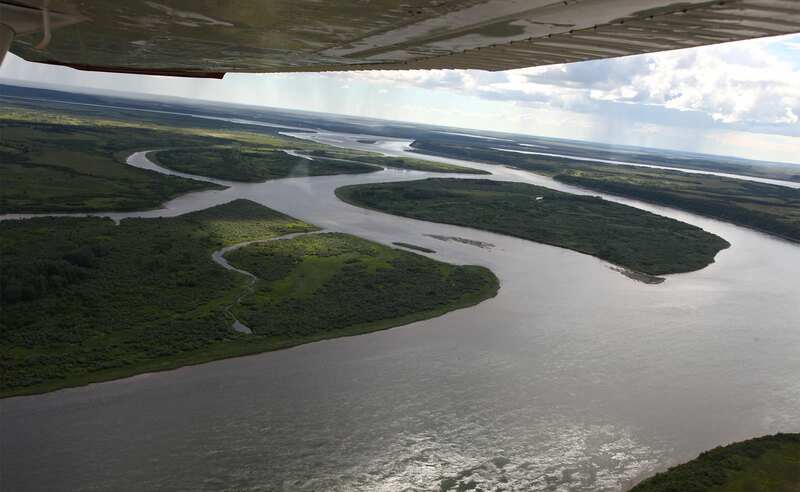 You’ll fly via commercial jet from Anchorage to the village of Dillingham, located in the heart of the Bristol Bay Drainage, also known as the “Salmon Capital of the World”. 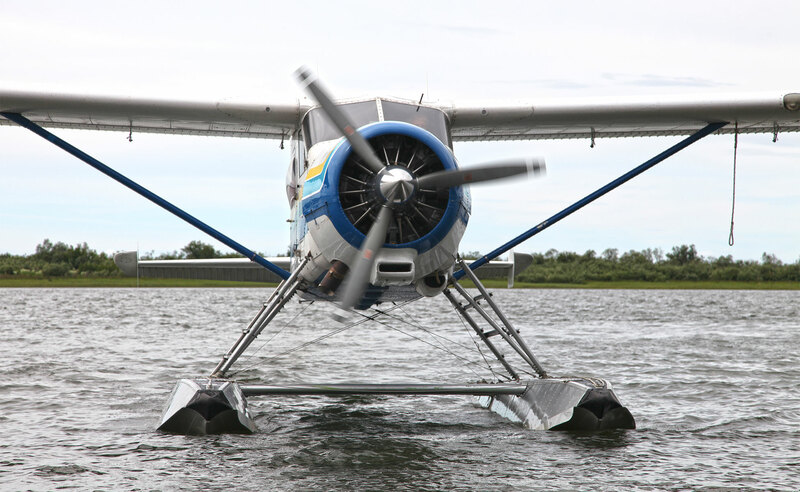 From here you board float equipped aircraft for the flight to our remote fishing camp. 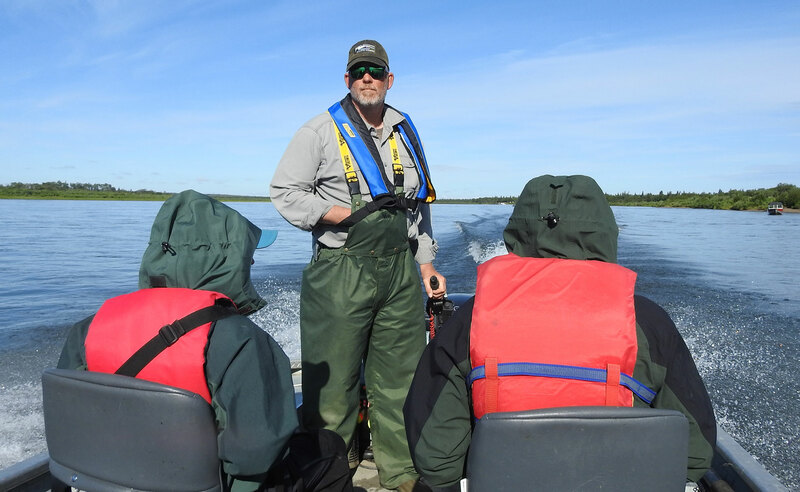 When you arrive at camp, you’ll have time to unpack and accompany your guide on a brief introduction of the camp facilities and then on to shore fishing that evening. 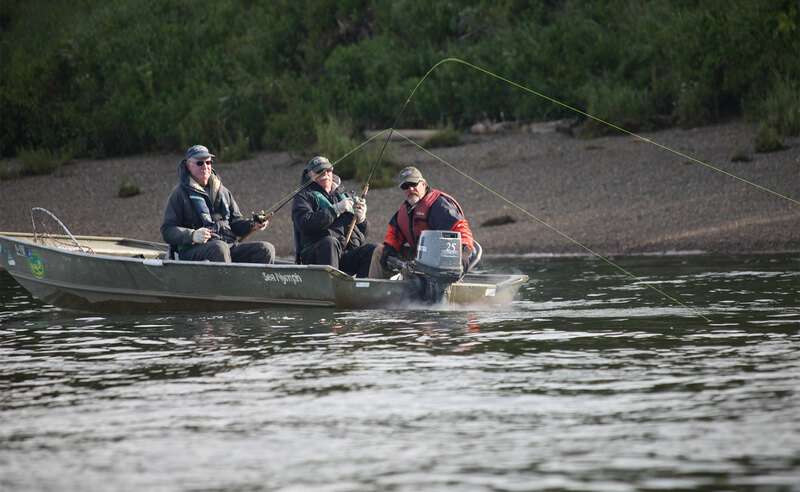 At the Nushagak Salmon Camp we use boats for getting to the different streams, creeks, and rivers within the camp’s proximity. The fish are never far away. 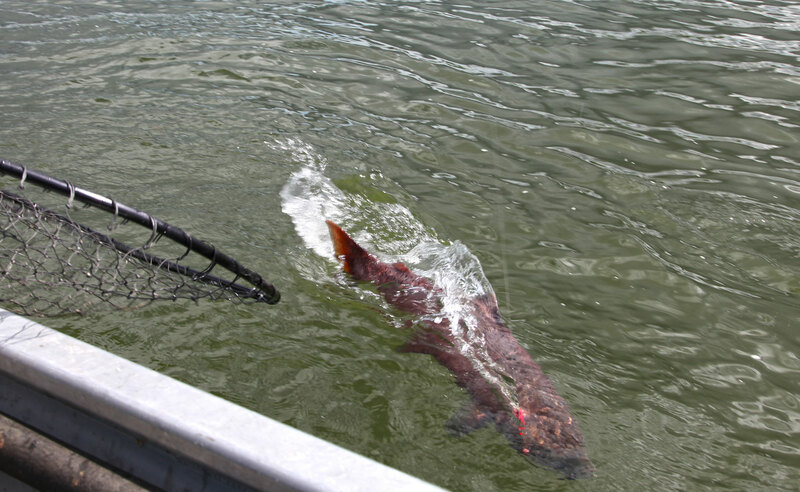 If you are a good at casting, you can almost land a lunker from your tent door. 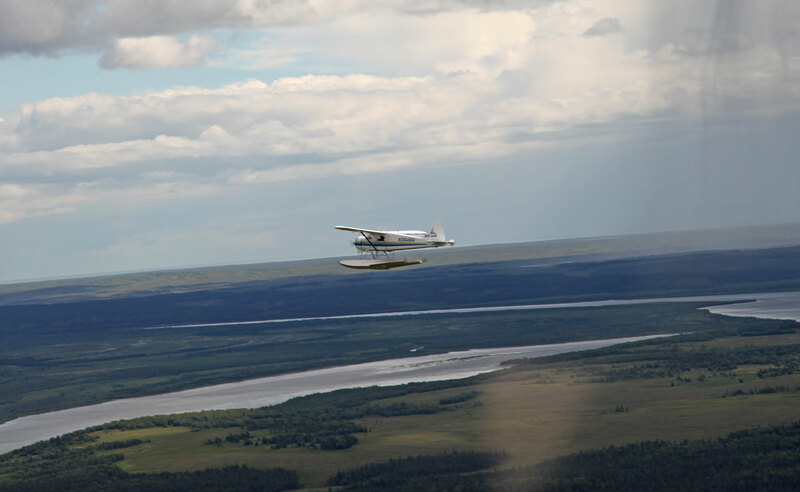 You will not have to spend several hours a day flying around like at some lodges or camps. 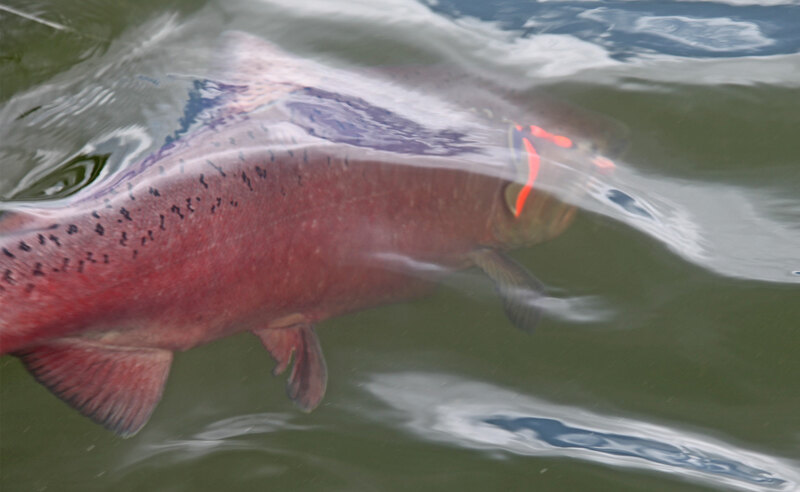 Also take into consideration, if the weather is poor, you can still get out to the fish when planes are not able to fly. 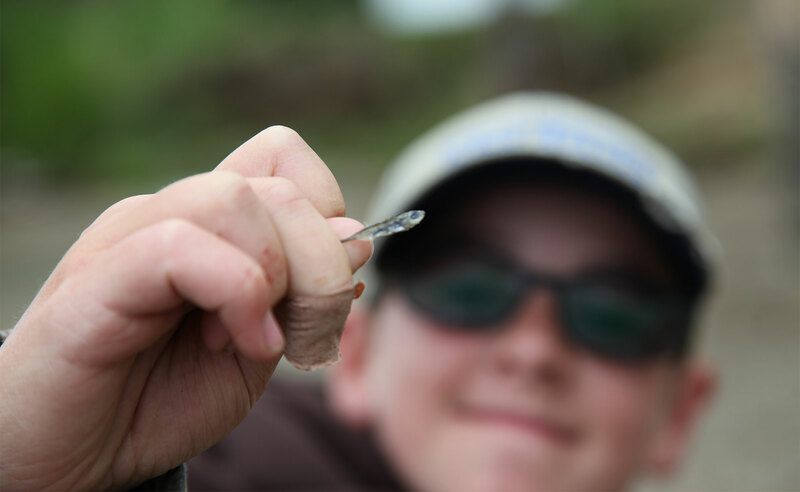 There’s one reason why over 90% of our anglers return to our Nushagak King Salmon Camp…They catch fish! 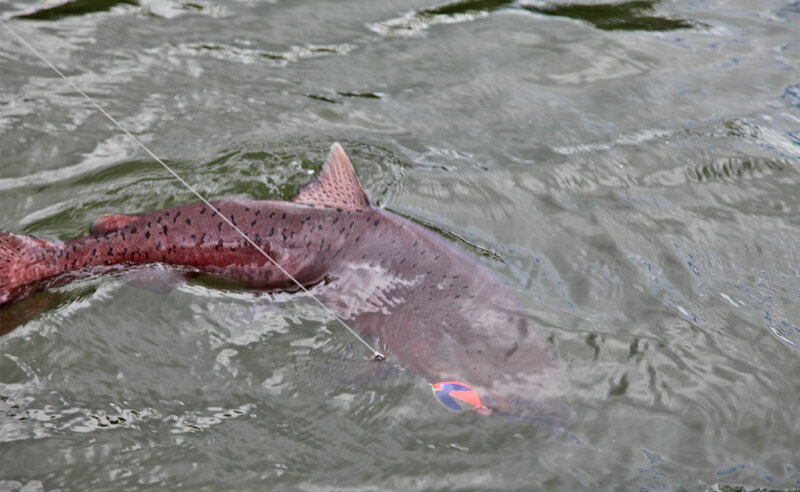 Most of our clients catch a dozen or more king salmon a day… many of our anglers catch over 100 king salmon each…per week! 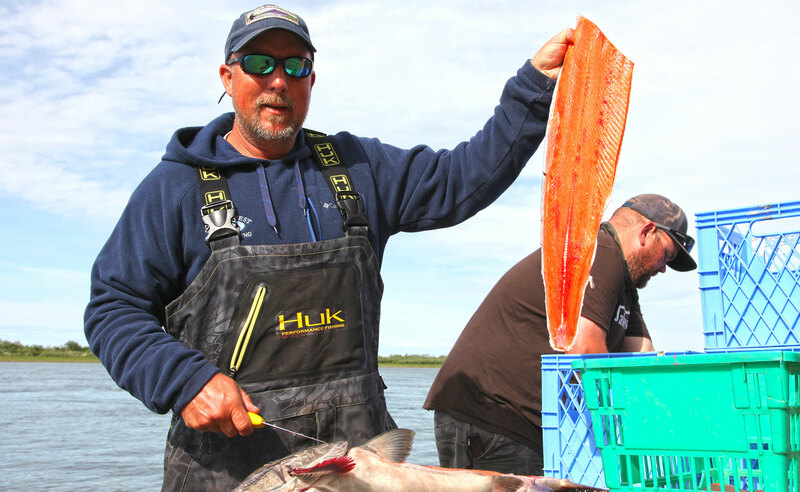 The Nushagak is a salmon fishery beyond belief, with 90,000 to 300,000* king salmon from 15 to 50 pounds returning each year. Gilbert Browne from Scotland has a 3 year average of 235 Kings per week. Gilbert does not boat fish, he only fishes from shore. 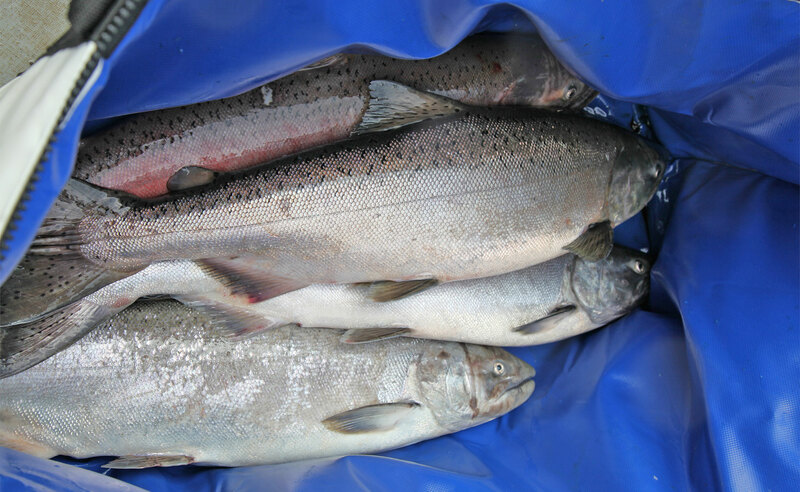 *Alaska Department of Fish and Game Website, Nushagak River Chinook Salmon Run History Graph. 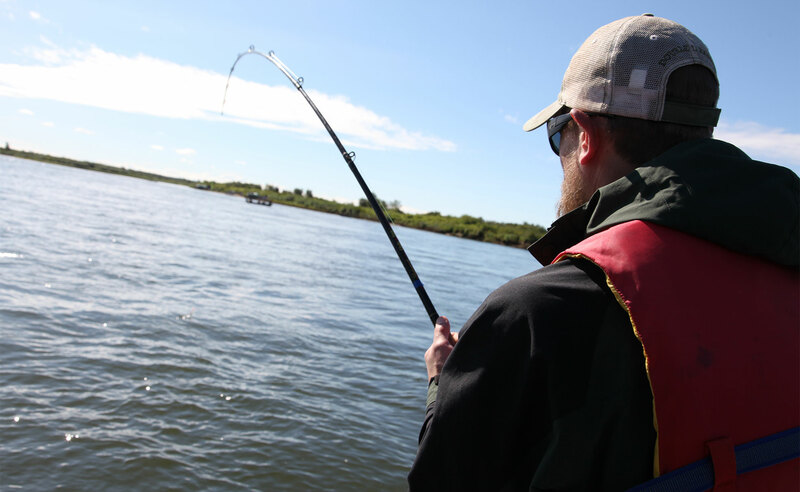 Our hand-picked guides are trained to serve your needs and help you find the fish. 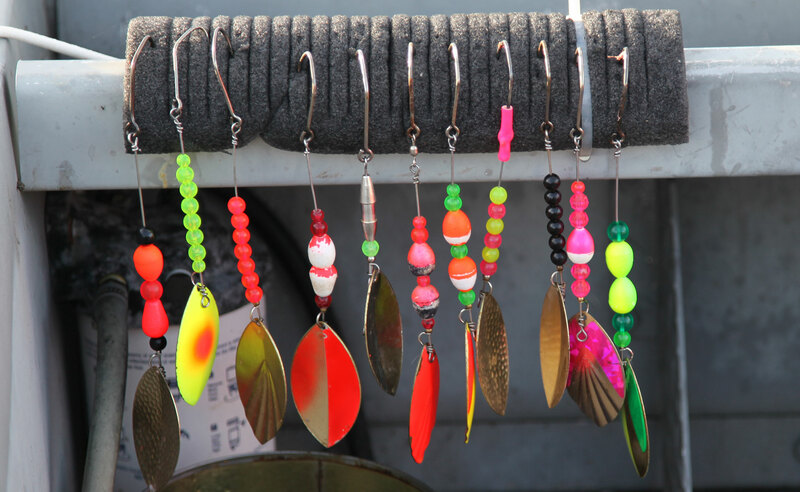 With over 19 hours of daylight, anglers should prepare themselves for nonstop fishing action. 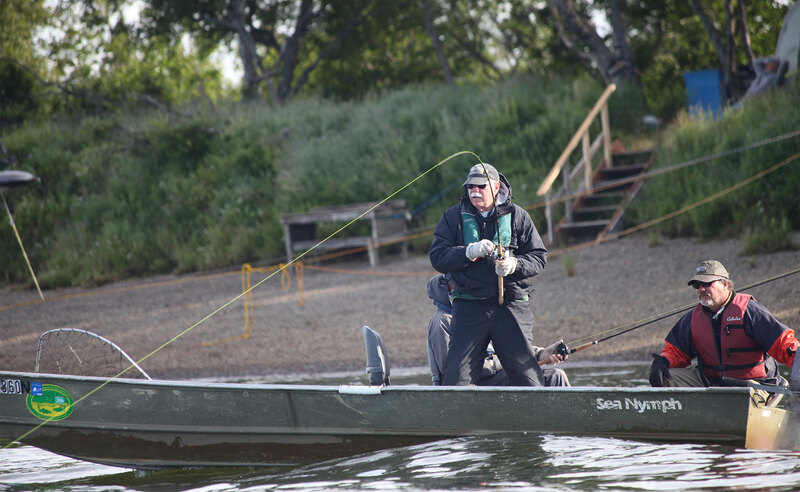 At the Nushagak Salmon Camp, the issue is not whether you will catch fish, it’s whether you’ll give out before the fishing stops!